The orthopaedic production facility is the heart of our company, where we create and produce our custom-made devices for patients. It is the engine, where the product is designed, manufactured, and checked for delivering with the highest possible quality. 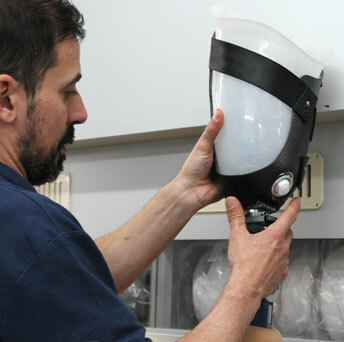 In this manufacturing process, the leading figure of a good orthopaedic technician is indispensable, someone who knows how to sensitively understand the requirements of our patient. 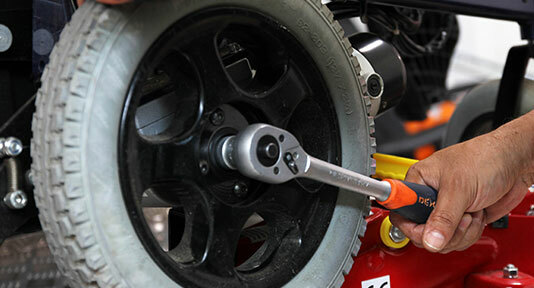 The technician must combine the keys to our custom manufacturing process with a high level of expertise, craftsmanship and a love for a job that is well done. So many years of trust from our patients have transformed our production facility into one of the most nationally renowned, and we are obviously proud and very encouraged to continue with this work. Thank you all. 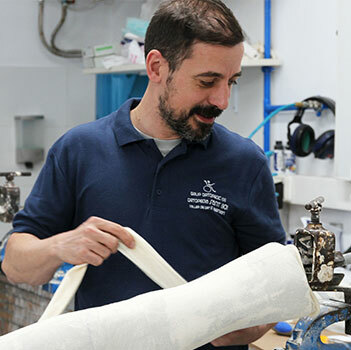 We are licensed to manufacture and produce: Orthotics, Prosthetics, Adaptations for wheelchairs, Custom footwear, Custom insoles and Compressive therapies. 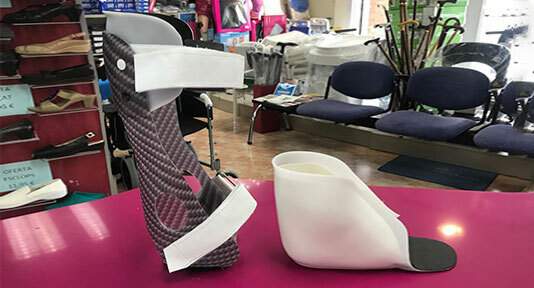 Custom orthotics and prosthetics require qualified professionals capable of manufacturing and adapting orthopaedic devices to the needs of the patient, ensuring their comfort and functionality without forgetting the final aesthetic appearance. This makes it inevitable that the process begins with a brief interview with the orthopaedic technician, who will ask the patient about his or her condition and gather all the information which may help. Normally, measurements are taken, moulds are made for the manufacture of the final device, or photographs are taken of the affected area. In addition, it is a good time for the patient to express their doubts or expectations in such a way that the technician has as much information as possible to assess and estimate the patient’s needs. With the information obtained in the previous phase, the technicians will already be in a position to manufacture the device. 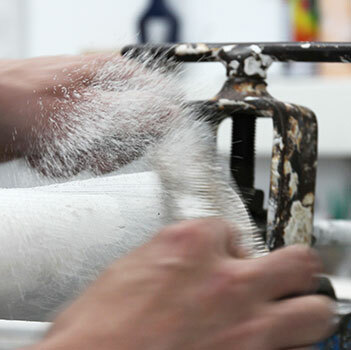 The production facility will decide which techniques and materials are the most recommended, paying special attention to the adaptability, lightness and durability of the product. The orthoprosthetic technician validates the final product. 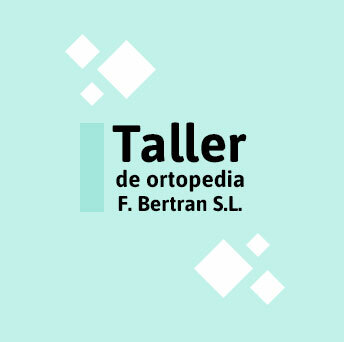 Grup Ortopèdic XXI will be at the patient’s disposal during the period of adaptation of the product to solve doubts, or to give the necessary support for the correct use and maintenance of the delivered device. Children: we work with DAFO orthotics, custom corsets for scoliosis and adaptations for all types of chairs. 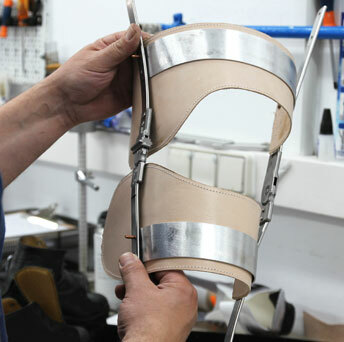 Our workshop has been a pioneer in prosthetics for more than 30 years, and we manufacture all types of custom prostheses. In our facilities, we have the necessary staff resources to adapt your chair for both paediatric and adult patients. We manufacture a lot of plantar orthoses for our orthopaedic aids shops as well as partial foot prostheses for patients with foot amputations. 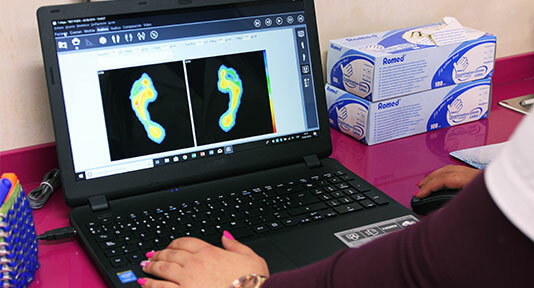 Our measurement techniques using scanners and moulds, together with footprint studies, make our partial prosthesis-insoles a highly successful product in our company. 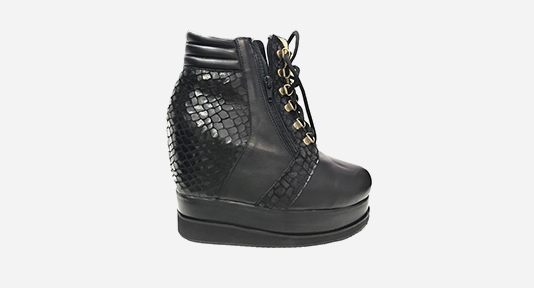 Custom footwear is one of our most craftsmanlike facets, treating serious foot deformities that require measurements and different tests carried out by our orthoprosthetic technicians until a satisfactory and functional final product for the patient is produced. Aesthetics and good taste when advising on the different types of leather and the models best adapted to each anatomy of the foot make our craft shoemaking workshop one of the most important in the sector.